First, what makes a gun ambidextrous? Magazine ejection – is it accessible from the left or right hand? Safety – can it be accessed easily from either side? In the vast majority of cases, those two qualifiers are the judge as to whether a firearm is ambidextrous. And while it seems absolutely silly in this age of modern firearms to design a gun that only works in one configuration – it still happens. Why? Because the majority of the market share is right-handed and gun engineers are largely unambitious when it comes to changing the actual mechanics of a pistol that’s worked for nearly thirty years. This touches on the last part about modern pistols and revolvers – they really haven’t advanced in the past thirty years. Outside of using polymers to reduce weight, magazine extension, and some adjustable sights – a firearm that you picked up from 1985 will largely operate the same as the firearm you’ll pick up in 2015. The big exception to this is the striker-fire. That has come forward in leaps and bounds within the past thirty years. But that’s a topic for a different article. That said, let’s go over ten pistols and revolvers that exhibit good ambidextrous control. It’s a small, snub-nosed .38 special or, ideally, .357 Magnum that holds five rounds. In terms of a self-defense concealed carry revolver, it’s near the ideal. The J Frame can be gripped with one hand or two and conceals easily in the waistline for smooth performance. With single action/double action, the user can still have single action shot performance with double action follow-up. Small modular design, nice ergonomics, and built for concealability – the magazine ejection is accessible by either side and there is no mechanical safety on most models. It’s modular structure encourages concealed carriers to experiment with its configuration to find the perfect grip, sight, and hand configuration for each carrier. 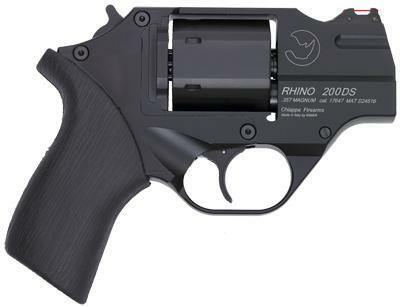 The Chiappa Rhino 2” is one of the most curious designs we’ve seen for a concealed carry revolver. Made with a flattened cylinder, it uses moon clips to quickly load and unload ammunition into its hexagonal cylinder. Because it’s very streamlined and compact, it brings all the benefits of a SA/DA pistol and a revolver to the same platform. Even though the magazine well is designed for a right-handed shooter, it’s actually in a great position to be accessed with either hand. Plus, what list of great ambidextrous pistols is complete without a Glock 19? 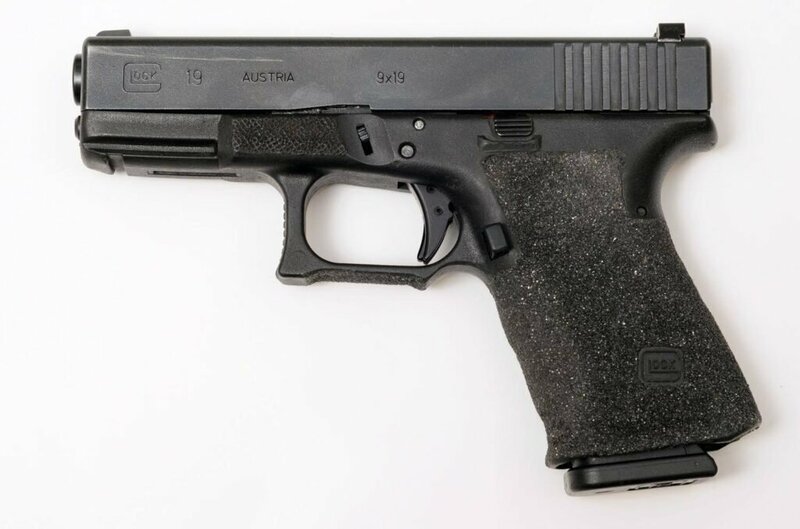 It’s a bit less compact than the G26 and for those looking for an ideal model of Glock for ambidextrous use, the G26 is probably the way to go. If, however, you can get away with a full-size Glock – you’ll never regret it. Slim, single-stack, and ambidextrous magazine release on the trigger guard – the Walther PPS is a great choice for concealed carriers who need to switch hands. While some models include a safety on the left side of the gun (ideal for right-handed thumb flip), that safety is easily accessed with just the left hand. 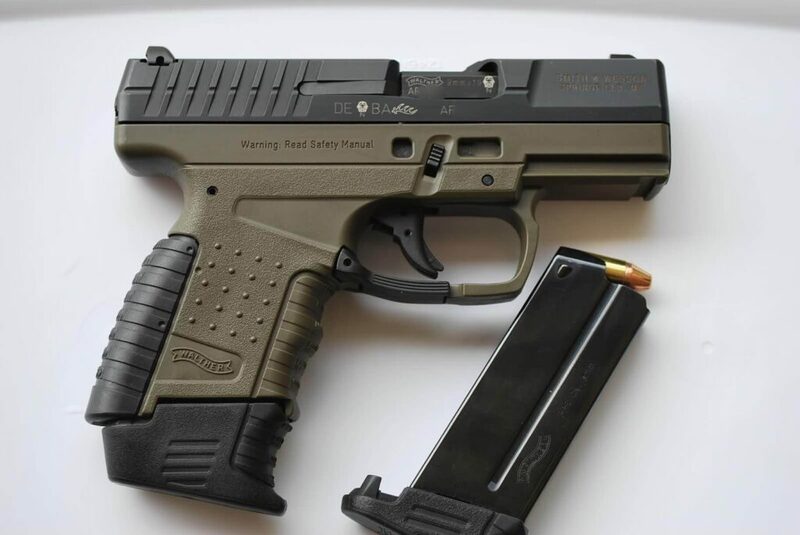 This is one of the few 9mm pistols which can be safely fired single handedly by almost any shooter that practices it. Click here for the last 5 guns on the list. 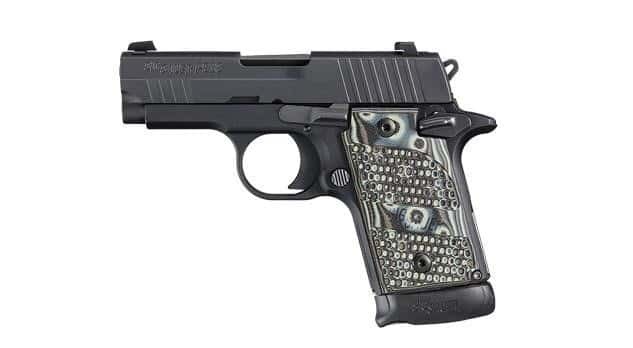 Sig Sauer doesn’t make a lot of ambidextrous pistols but they do design their pistols with controls that can be conveniently learned by southpaws. That said, one of their finest sub-compact SA/DA pistols is the P938. It can be used in either hand with equal effect – good concise accuracy, ambidextrous safety and left-hand convenient magazine release. 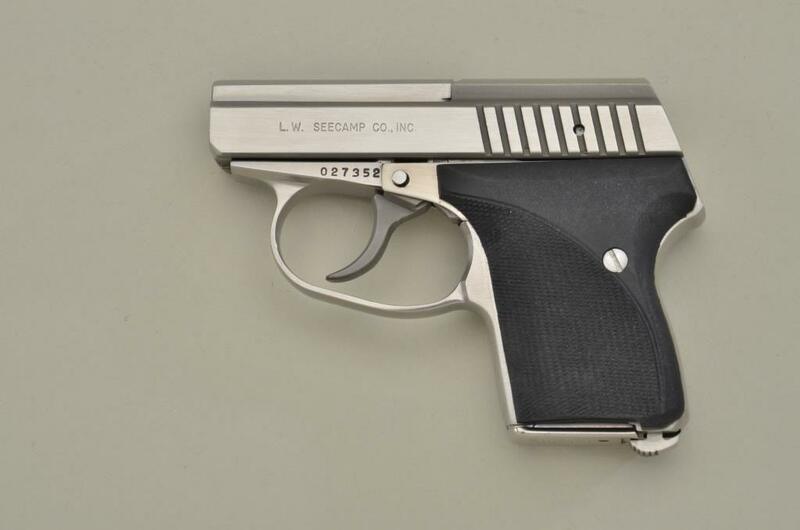 Smaller than your cell phone, the LWS Seecamp is the quintessential ambidextrous option for concealed carry. Chambered in either .380 ACP (9x17mm) or .32 caliber, it’s capable of delivering a full size performance in a micro compact platform. It’s one of the preferred options for frequent travelers looking to maintain a low profile and still reliably return fire in a self-defense scenario. 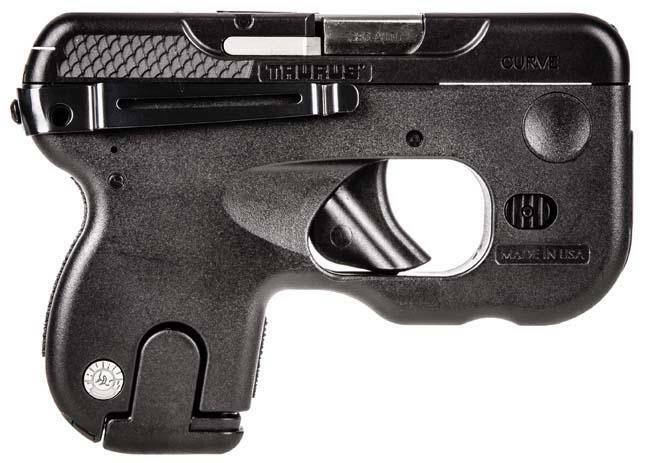 When Taurus designed the Taurus Curve, the daily carrier was certainly in mind. 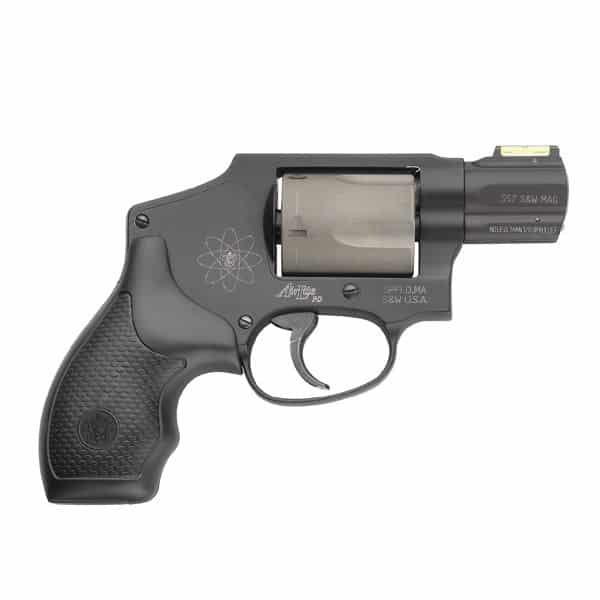 It fits conveniently in a pocket or purse and features intuitive controls, a durable trigger, and ergonomic point sights. The Curve also comes with a flashlight for easy sighting in darkened environments. While the grip is designed with the right handed shooter in mind, left handed shooters report absolutely no issue when holding it in the other hand. 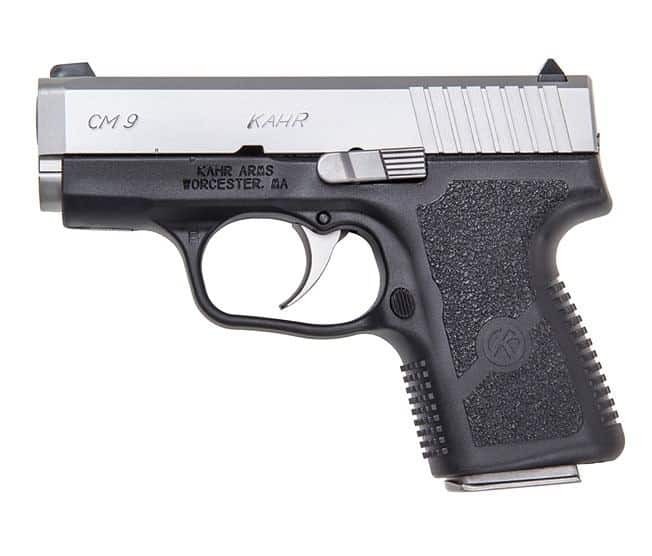 Little known fact – Kahr used to help manufacture Glocks back in the day. While Glock has largely switched to their own manufacturing process, Kahr had uncanny insight into Glock’s design and features. This allowed them to feature two models of extremely easy to carry (and conceal) single stack pistols well before the Glock 43 ever hit the market. Ergo, we have the CM9. 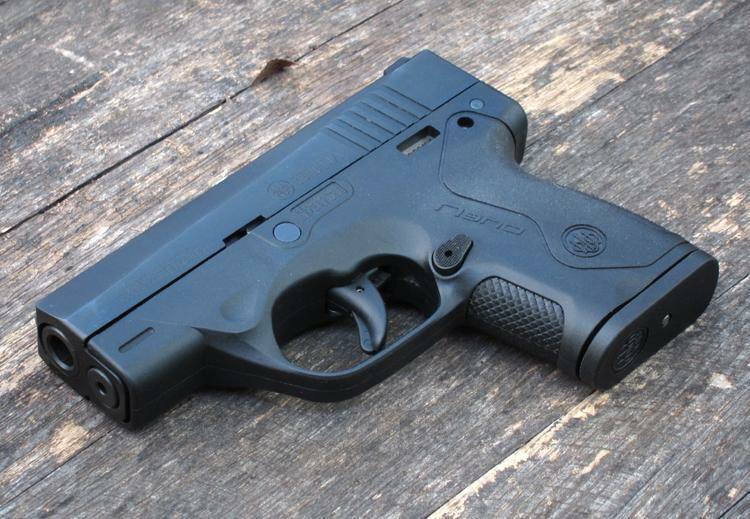 Chambered in 9mm, it has deft performance in either hand and a proven record of reliability. It’s also priced much more competitively than traditional Glocks. Kimber has always maintained a reputation for high-end 1911s and custom pistols – but did you know they have one of the smallest micro pistols on the market? 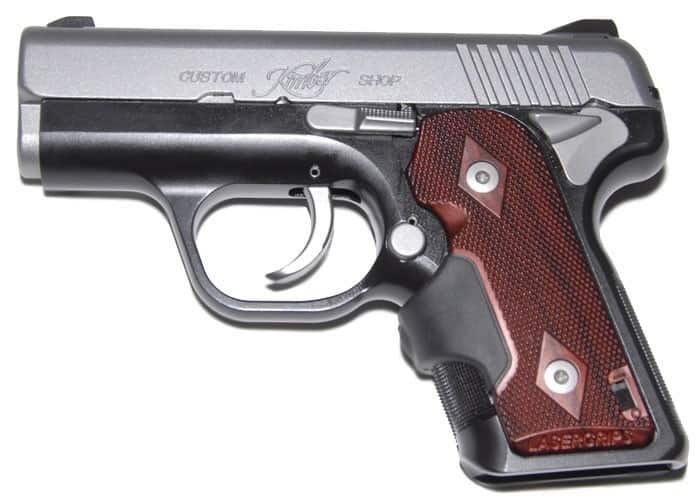 The Kimber Solo weighs in at mere ounces, has one of the shortest barrels in the micro-compact category, and features design elements customizable for either hand shooting. Really, the only downside is that with the amount of finish and work put into these firearms – no one will see it except you.